*Add email addresses for client emails and Select role as Administrator and check notify user by email. a. 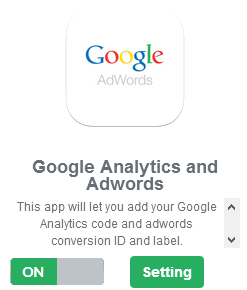 To activate Google Analytics, simply paste your UA-XXXXX-X format code in the first field and hit save. b. 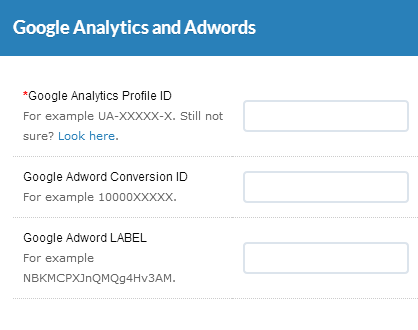 If you have an adwords account and would like to track successful conversions, you can enter your Adwords Conversion ID and Adwords Label in the next two fields and hit save. Note: your Google Analytics integration is ecommerce ready, so you will be able to track transaction related data as well in your Google Analytics account.